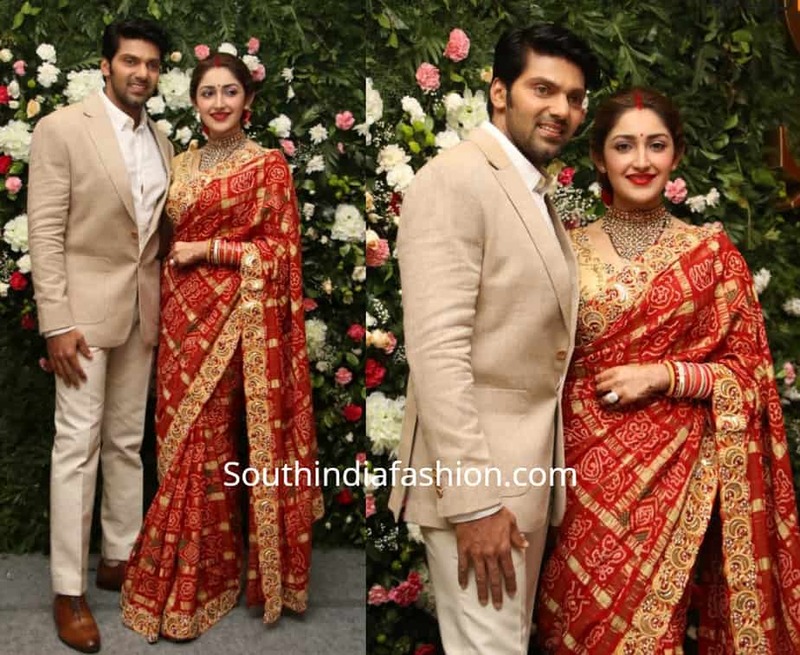 Home South India Fashion Arya and Sayyeshaa at their wedding reception! 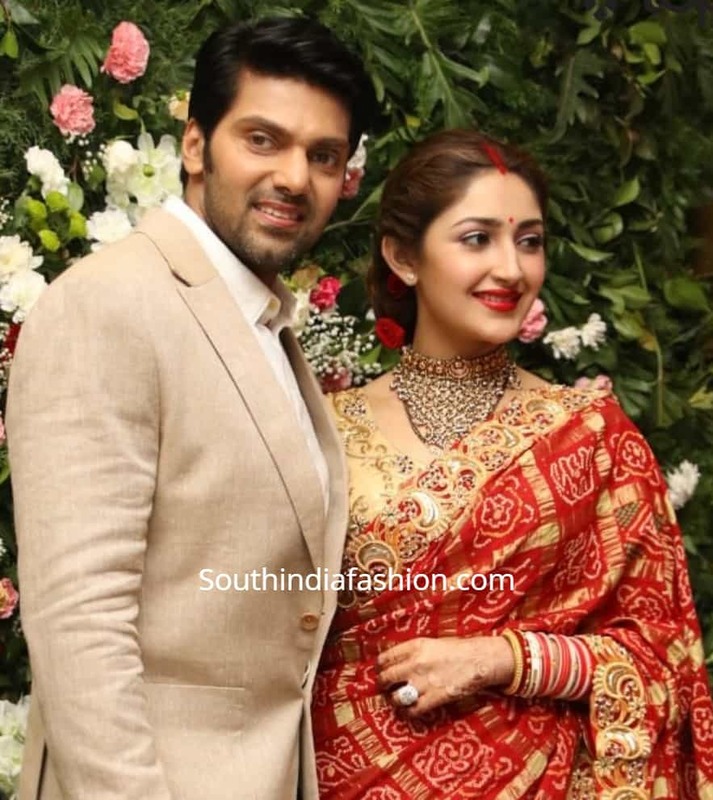 Newly weds Arya and Sayyeshaa hosted a reception for the media in Chennai. 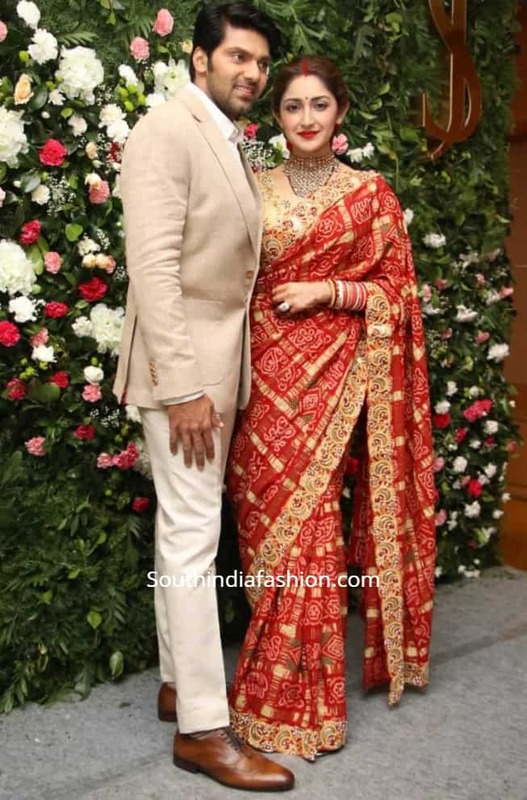 For the event, Sayyeshaa opted for a red and gold bandhani saree that featured embellished cut work borders paired with gold blouse. She finished her look with a statement kundan choker and an updo decorated with roses. Arya looked dapper in a cream color suit and trousers paired with white shirt! 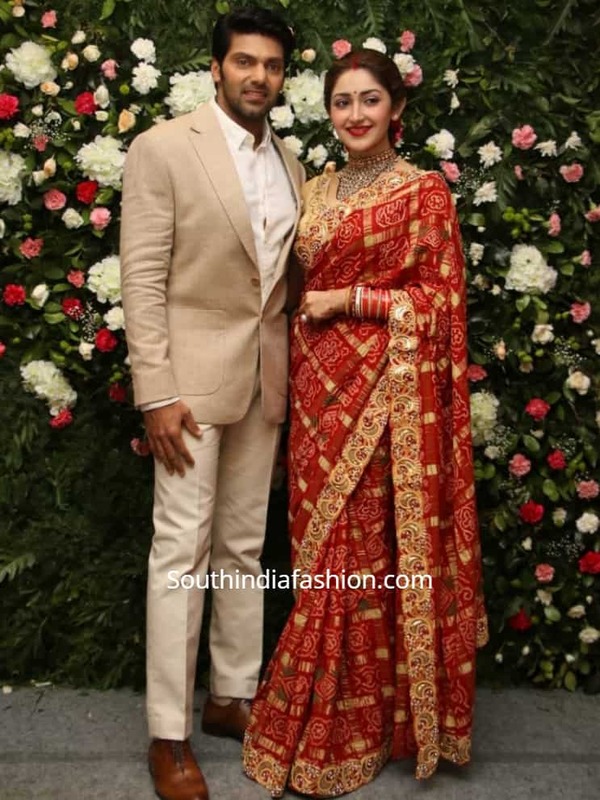 The post Arya and Sayyeshaa at their wedding reception! appeared first on South India Fashion.